Your membership means a lot to us. 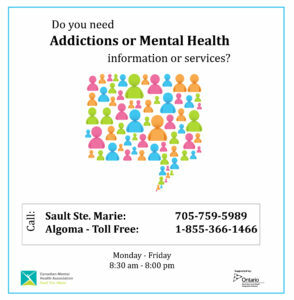 It means that you support our work to promote better mental health for the people of Algoma District. Please Join Us! Simply fill in the Membership Form and mail it to Canadian Mental Health Association Sault Ste. Marie Branch, 386 Queen Street East, P6A 1Z1.